Mountain climbers facing extreme climatic conditions, patients affected by schizophrenia or neurological disorders and athletes facing severe exhaustion have all reported experiencing an invisible and yet persistent “presence” that is often felt just outside their field of view. Researchers at the École polytechnique fédérale de Lausanne (EPFL) have now recreated the same sensations in perfectly healthy subjects, inducing ghostly hallucinations in a matter of minutes. The “Speech Jammer” is a silly little tool that can easily turn even the most eloquent of speakers into a babbling mess. It works by listening to your own words and then repeating them back to you with a very slight delay. A difference of a few tenths of a second is enough to trip up the feedback loop between your voice and your ears – with some hilarious results. The EPFL experiment suggests that similarly “jamming” the feedback loop between your body awareness and your sense of touch can have drastic consequences too – you may start to feel the presence of up to four people other than yourself. 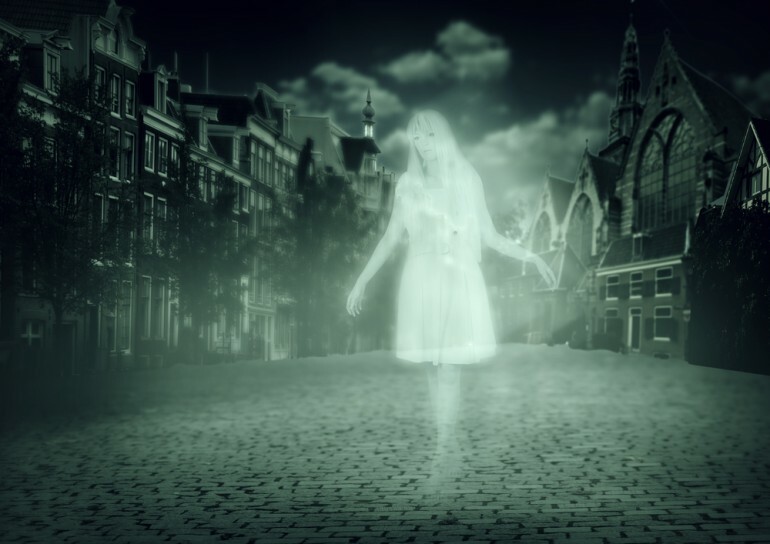 Researcher Giulio Rognini and colleagues began by analyzing the brains of 12 patients with neurological disorders who have reported experiencing such “apparitions” (curiously, all coming from behind). By comparing their MRI brain scans with a control group they confirmed that the apparitions were a result of lesions in the frontoparietal cortical region of the brain, associated with bodily self-consciousness and sensorimotor skills. As Rognini and team found out, introducing a slight delay in the back arm “jammed” the feedback loop between body positioning and sense of touch, distorting perception and creating the impression, in healthy subjects, that up to four people separate from themselves had materialized near them.